Over our years of providing psychological services, evaluations, and consultation services, Mid-Atlantic Services’ history of providing psychological assessments, treatment, and consultation services has grown exponentially from a single practitioner to an organization with several practitioners working as psychologists, therapists, counselors, evaluators, and forensic examiners. Our motto is Changing Lives for a Better Tomorrow, which represents our core values. 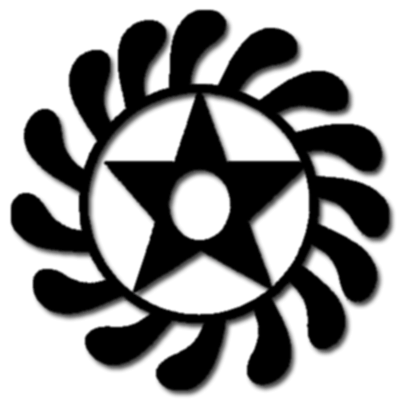 This symbol combines two separate Adinkra symbols from Ghana, representing life transformation. The “Morning Star” represents a new start to the day, while the “Wheel” represents rotation or independent movement. Combined these two symbols create the SESA WORUBAN symbol. The MACS/MAPS philosophy embodies the SESA WORUBAN, as we provide quality services with a cultural approach. This approach is geared toward fostering positive life transformations and assisting all people from diverse backgrounds to strive for emotional well-being.